11 Jan 2019 : This one, is a Soul / Gospel Friday night out, from the very top drawer..! 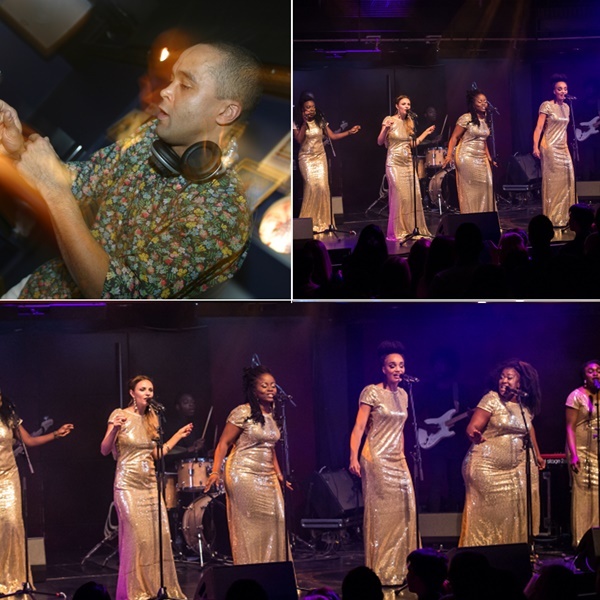 Special guests, the 'Voices of Virtue Gospel Choir' with full band & horn section, performed alongside WHQ's DJ Tommy Caulker, for an evening of the 100%, high octane, blistering, classic Soul anthems everyone knows & loves. This show was way more than just a bit special & sold out the Sage to total rave reviews. Well guess what...? We're now ready to bring this amazing live event to Wylam Brewery, on Friday January 11th. Now you all do know the deal with the live shows we promote @ Wylam..? You'd have to have been living a cave in the woods, to miss some of the many amazing live events we've staged at the Brewery over the past couple of years. We can promise you that this one, is a Soul / Gospel Friday night out, from the very top drawer..! Tommy & Voices of Virtue Gospel Choir have worked together in picking all the tunes & nailing special musical arrangements for every song. This will be their full, epic, Great Exhibition of the North show, with yet more new songs added..! So don't miss WHQ with this full Gospel Choir live & experience them taking the roof off Wylam Brewery for this special, up-tempo soulful performance, to truly kick 2019 into gear. Cross generational, multiracial & stronger every single time. Delivering the city proper weekend musical fun & lifetime memories for us all x.
Earlybird tickets are on sale now & we can absolutely guarantee that this will be one of those special Wylam nights out, that you & all your friends will never forget – 100% Soul..! This is a standing / dancing event.